Since 1997, Majors Home Improvement has installed durable windows for houses in Fort Walton Beach, Florida, and nearby areas. We are a local, family-owned company, and, since our founding, we have remained committed to delivering high-quality products and outstanding customer service. We install our Majors Select™ Vinyl Windows for our customers, and these windows are built with longevity in mind. They will improve the energy efficiency in your home, so you won’t have to run your air conditioner or heating system as much to maintain a comfortable indoor temperature. It’s easy to see why Majors Home Improvement has maintained a five-star rating with GuildQuality and an A+ rating with the Better Business Bureau for many years; we believe our customers and their needs always come first. 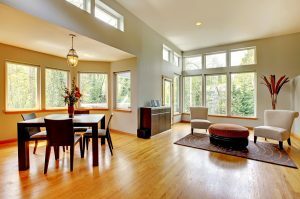 Contact us today to learn more about the windows we install for houses in Fort Walton Beach, FL, and neighboring communities.